Digitisation has changed how customers buy products forever, which in turn has caused dealerships to adapt the ways in which they operate. In fact, being a dealer is no longer a simple affair at all, especially when faced with an array of different systems, spreadsheets and even the odd post it note, just to get through the daily admin. Stock, Enquiries, Sales, Website, CRM, Marketing, Invoicing, Accounting, Profit and VAT Reports, FCA Gabriel; a dealer’s to do list is endless. But the one thing that stands out the most when trying to tackle these tasks is that hardly any of these systems and spreadsheets talk to each other, which means multiple log-ins, duplicated data entry and a lot of wasted time which could be better spent on other areas of the business, with the family or even out on the golf course! Juggling so many systems just to keep everything in sync is not only inefficient but it also sounds frustrating and painful! Which is why dealership performance partners, Click Dealer, created an end-to-end system, which encompasses all this functionality and more, to help busy dealers save time and increase profitability significantly. Click Dealer can provide integrated modules which can be taken out individually or collectively, enabling a far more efficient way to process business. The digital dealership experts offer a combined DMS and website platform, which in turn links into an enhanced Lead Management suite. All this is seamlessly interconnected to industry leading CRM and Marketing modules as part of a frictionless operation, refined over almost 20 years of technical experience in the automotive sector. With a specialist, in-house Automotive Search Engine Marketing team on hand to help drive more traffic to dealer’s websites, all of which is tracked. As well as the award-winning online retailing platform ClickEngage, which can be easily embedded into any website, enabling dealers to sell their vehicles directly online, Click Dealer offers everything the modern-day dealership requires in one solution, designed to cater for their every need. Inside ClickDMS, (which was recently voted DMS of the year by readers of Car Dealer Magazine,) the digital invoice system is linked to dealer’s marketing databases and everything is GDPR compliant, so they’re fully setup to utilise customer retention campaigns to great effect. The DMS also captures all the data, so that it can automatically generate reports from acquiring stock, right through to selling it, and for every KPI in between, giving businesses a 360-degree insight into their overall performance. ClickDMS is already setup to be fully compliant with next April’s digital VAT changes implemented by HMRC and can even send AutoTrader portal enquiries straight to dealer’s inboxes, to make sure that they remain compliant and prevent any lucrative leads from slipping through the net. Click Dealer doesn’t believe in re-inventing the wheel, so where possible its systems are integrated with external platforms, so that data can be shared to save time and combat double entering. A fine example of this is the ClickDMS accounts function which exports to both Sage and Xero. It’s impossible to maintain an all-encompassing system such as Click Dealer’s without the support of sector leading customer service. Like most dealers, The Clickers appreciate a cup of tea and a chat, which is why their implementation and customer service team are available by phone for dealers to speak to directly. With a glowing five star Google review rating Click Dealer takes great pride in putting its dealers first and helping them is always the number one priority for the market leading automotive software provider. 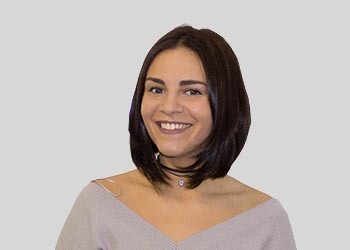 Click Dealer Director and Head of Customer Care, Pippa Rawlinson said:” I am very proud of our market-leading reputation for customer care and we always go the extra mile to ensure our clients feel the Clicker love. “From the very beginning we invested heavily in our customer services team because we wanted to be there for our dealers and help them whenever they had a problem. We’re not the sort of company who get the contract signed and then suddenly don’t care anymore. Click Dealer Director and Head of Customer Care, Pippa Rawlinson. For dealers who are looking to save time, simplify processes and increase profitability in their business through one end-to-end system, Click Dealer believes that it can help and has years of experience in doing just that! To find out if Click Dealer could be the performance partner for your dealership, please contact us today on 01782 454354 or marketing@clickdealer.co.uk.